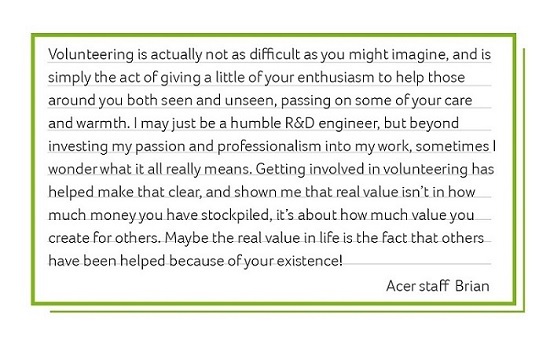 For the past 13 years, the Acer Volunteer Teams have encouraged our staff to get involved in charity service outside of work and to contribute a little of their spirit and talent. Through volunteer activities, Acer nurtures the seeds of kindness in the hearts of our staff, helping them bloom by giving everyone the chance to contribute. 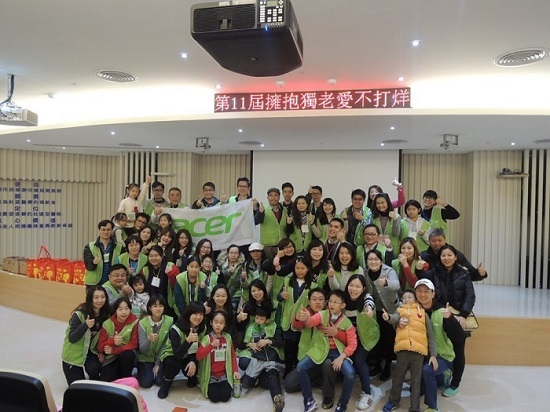 Every employee of Acer enjoys two days of paid volunteer work each year. 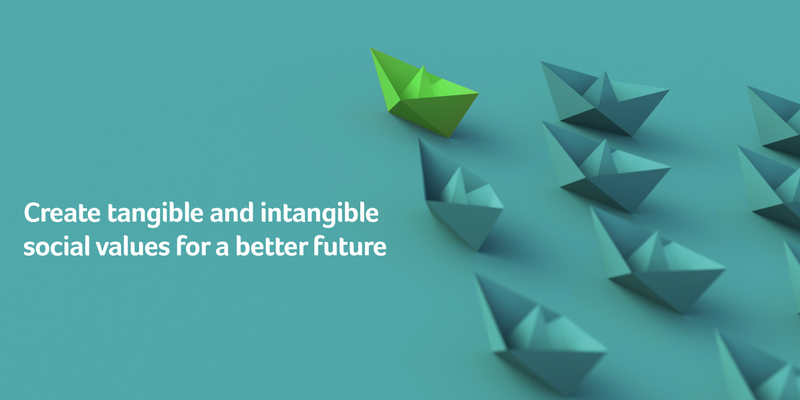 Starting in 2015, Acer America staff will also enjoy two days of paid volunteer leave to enable them to get involved with company-approved charitable activities. Our volunteer teams have also created many opportunities to give back to the community through volunteer experiences, organizing a number of activities for both staff and their families to promote concepts of charity. 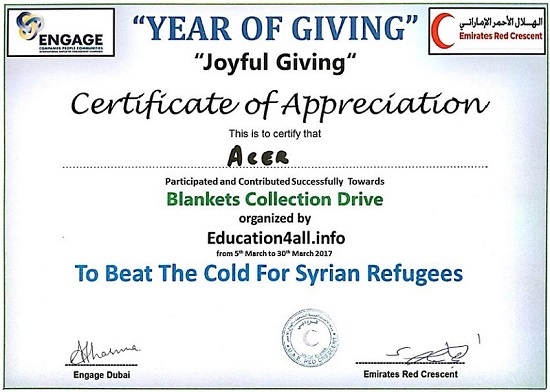 In the past, such activities have included recruiting IT volunteers, working to protect mountains and the oceans, second-hand item donation drives, blood drives, electronics recycling, working with people with dementia, promoting carbon reduction and energy saving to address climate change, and helping both disadvantaged children and the elderly. Volunteer Service: Locked on to Issues for Long-term Involvement! 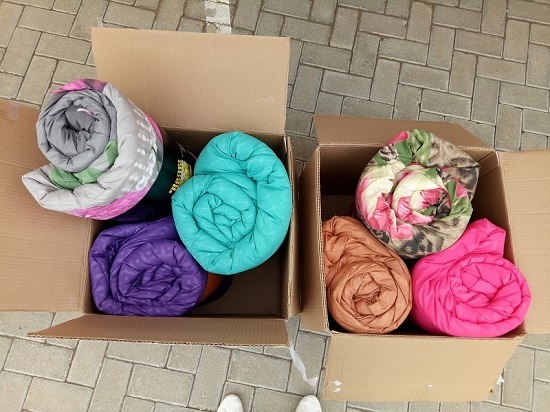 For the past ten years, we have collected 100 Christmas gifts each year for underprivileged children in the Xizhi area, giving them a little warmth and encouragement. 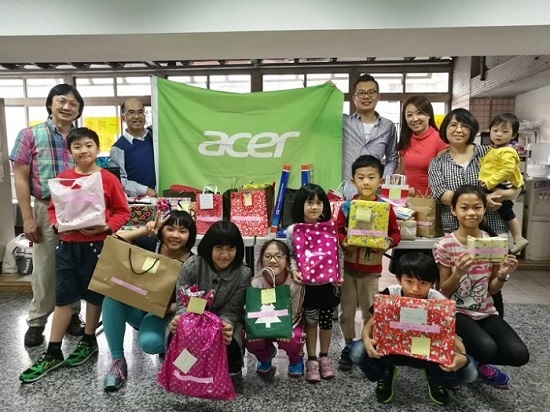 Acer is also a long-time supporter of the Taiwan Association of Child Development and Early Intervention, helping provide medical services to sick children in the Hualien-Taitung area. Acer organizes donation rives to collect food and everyday necessities to be given to elderly and underprivileged people in rural areas. In 2017, Acer worked with the Old Five Old Foundation to provide company and goods for the elderly. In addition, for the past seven years we have organized distribution of festive meals on Chinese New Year’s Eve for elderly people living alone, showing them that they are cared about. 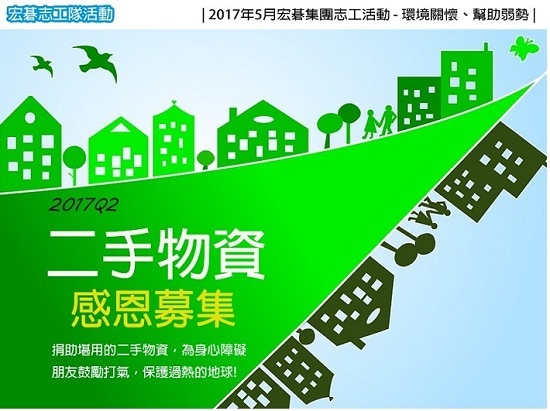 Acer has also donated some 7,500 company-internal receipts to the Huashan Social Welfare Foundation, as well as holding theatrical events on self-care for elders who have dementia, promoting the importance of health care for this group. For the past ten years, Acer has held regular blood drives. In 2017, a total of 1,700 people participated, donating a total of 2,727 bags of blood at 250cc per bag. Every year, Acer organizes the “Let Love Go Around” fundraising activity, which in 2017 raised a total of NT$736,000. 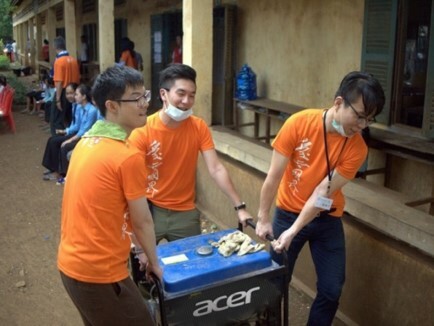 Since 2011, Acer has been actively involved in promoting international volunteer work, working with the Taiwan Dental Association to hold regular dental clinics for impoverished children in Cambodia and assisting with distribution of goods, with more targets around the world upcoming. In October 2017, Napa Valley in California was ravaged by wildfires which destroyed some 6,000 buildings and left many displaced. Acer staff donated over US$10,000 to the Napa Valley Community Disaster Relief Fund, helping victims of the fires get back to their normal lives.